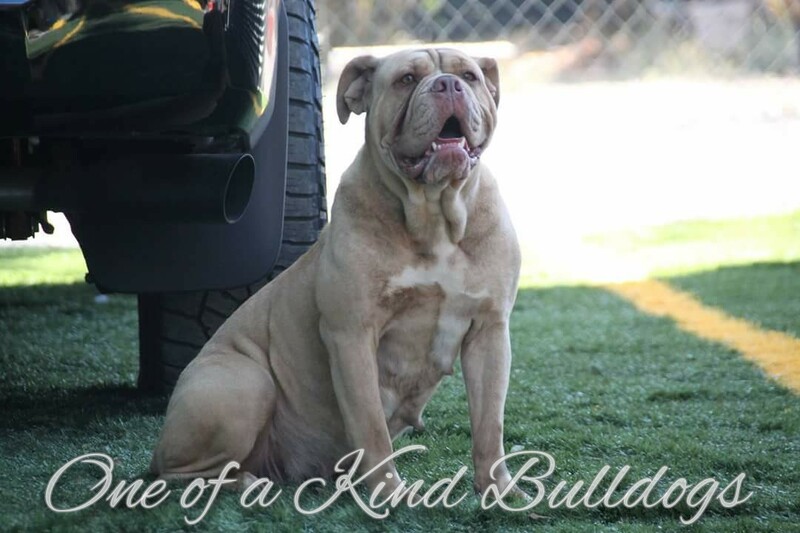 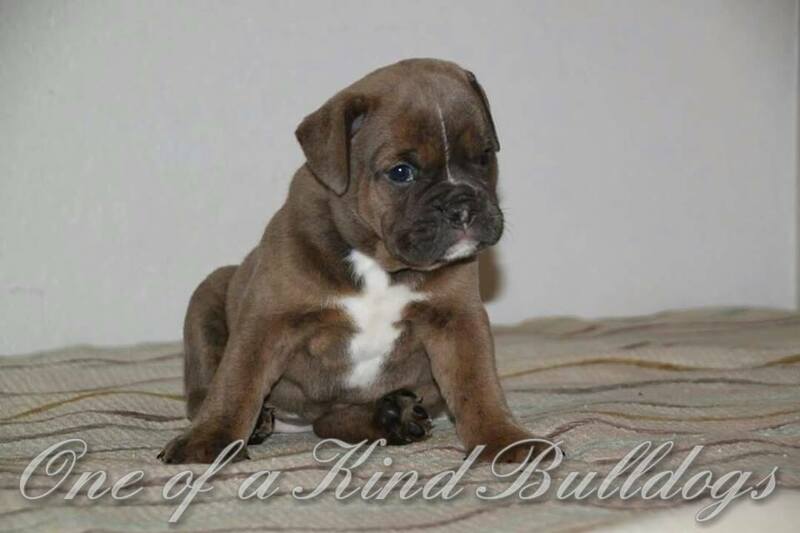 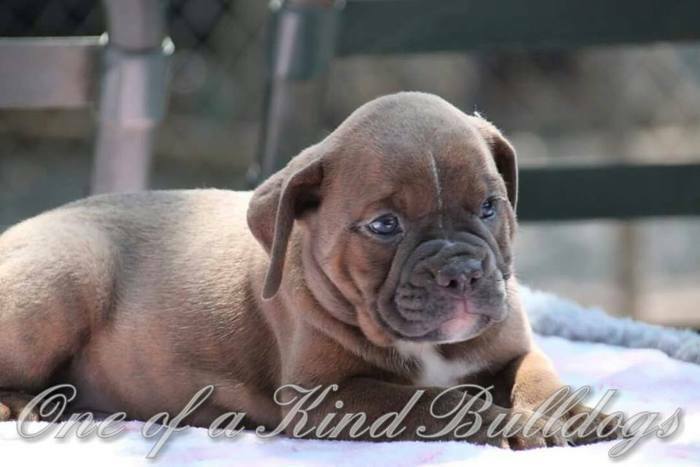 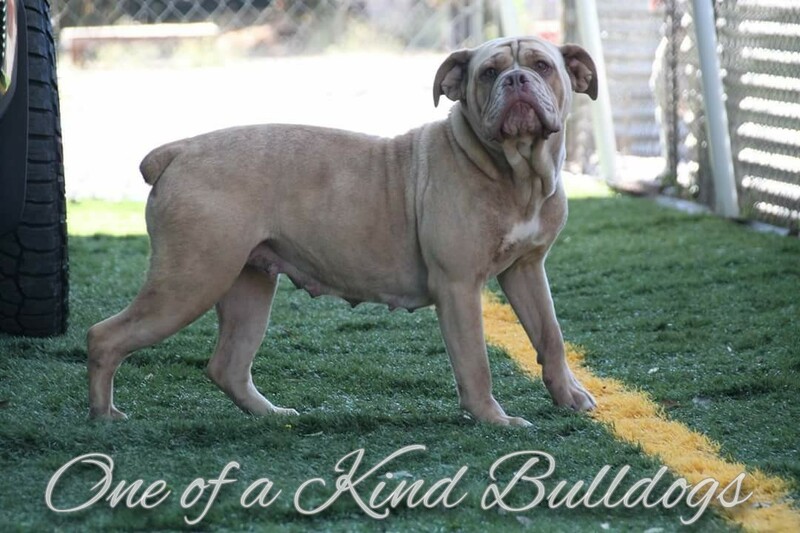 Goldie is a beautiful chocolate Brindle female Olde English Bulldogge off of our Molly and Louis V breeding. 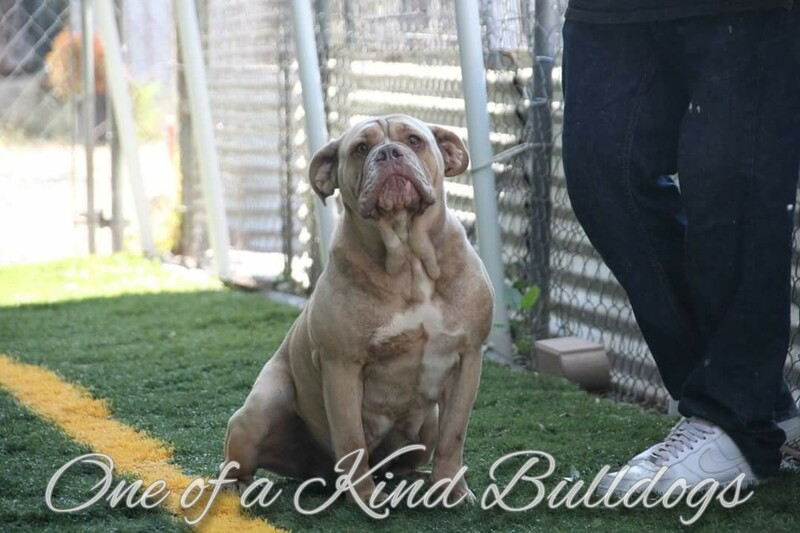 Goldie just has the most amazing temperament and sweet demeanor that every single person who enters this property notices and falls in love with. 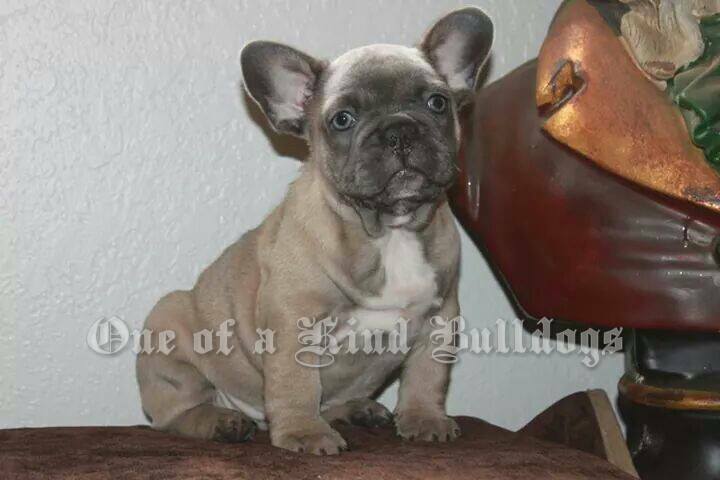 She has an amazingly soft coat on top of its beautiful color. 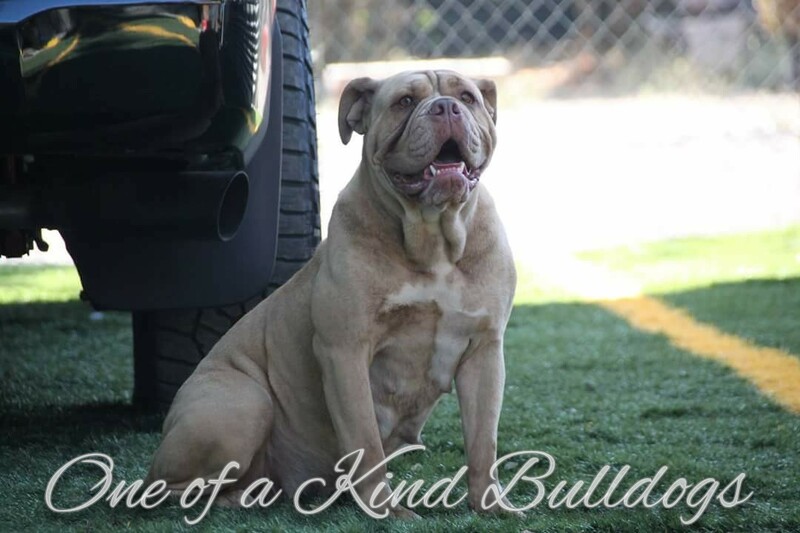 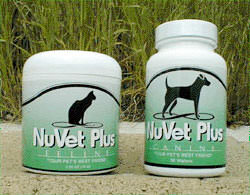 Goldie also carries blue and the Tri gene so she is able to replicate her beauty in all different colors. 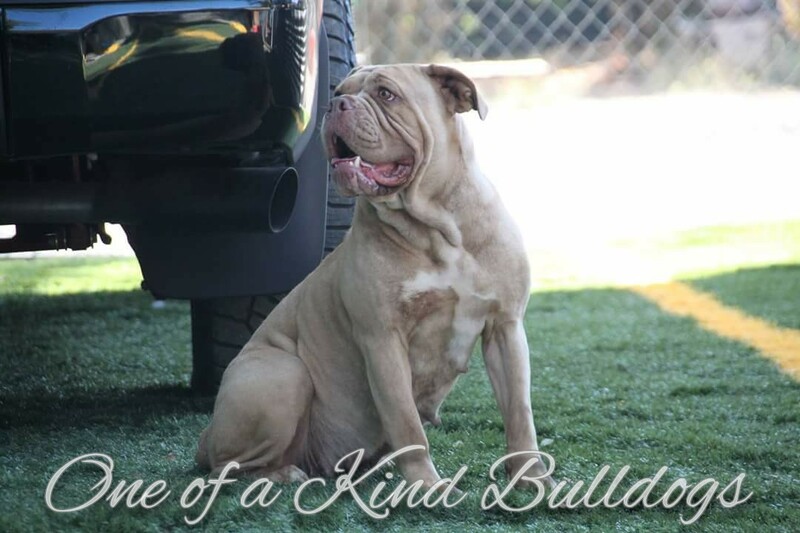 Goldie is a little on the taller side at close to 19″ and approximately 65 pounds. 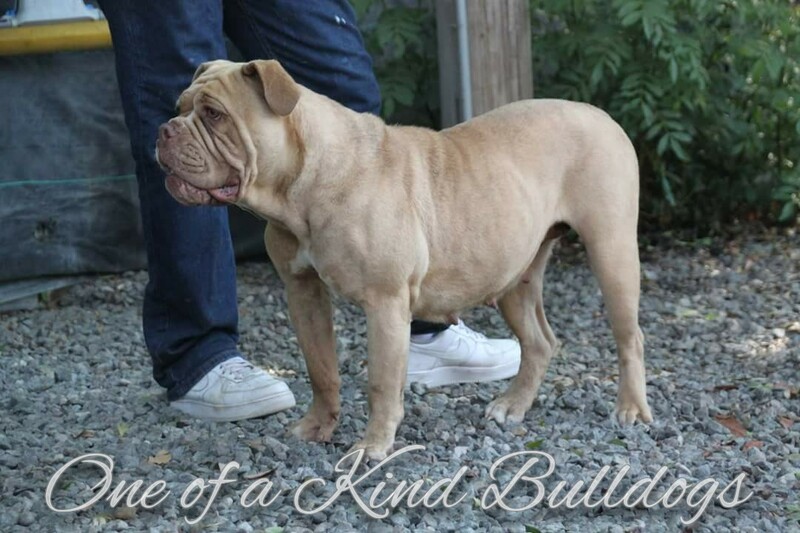 We already have a daughter of hers who is more than we expected from her when it comes to quality. 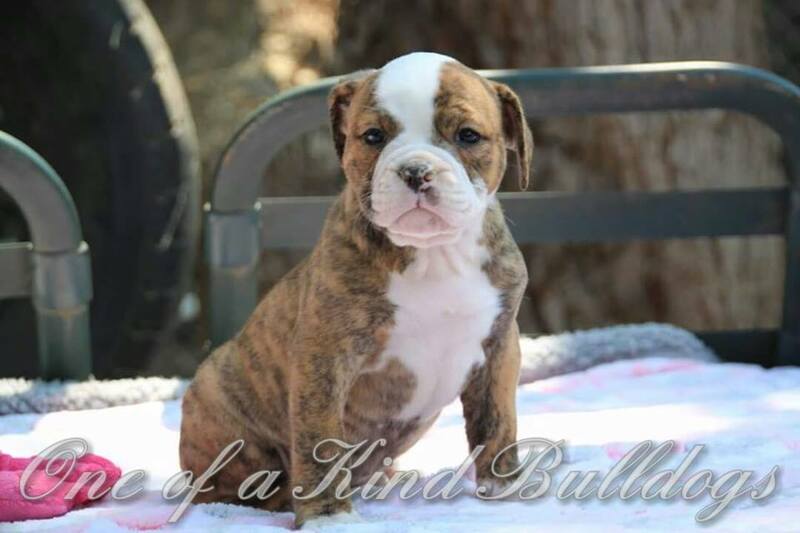 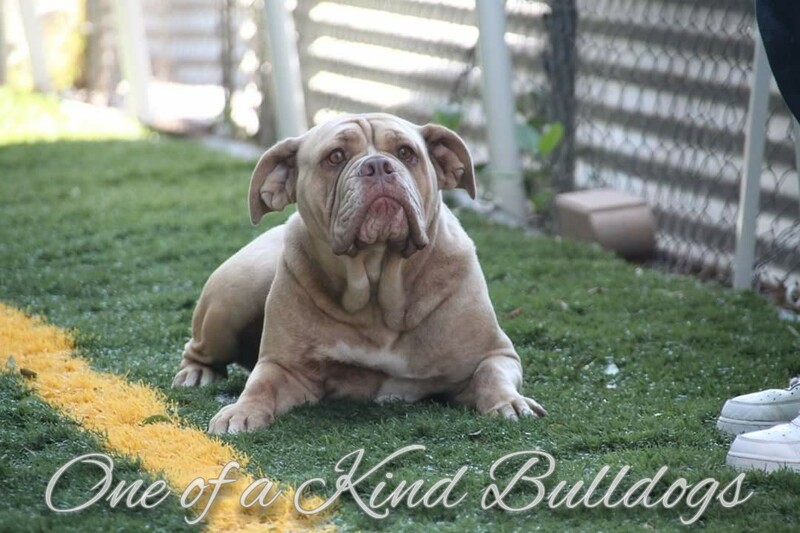 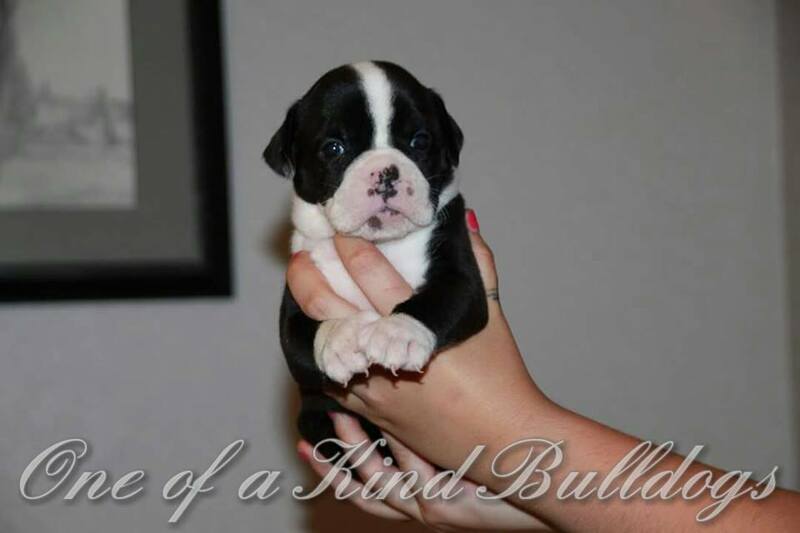 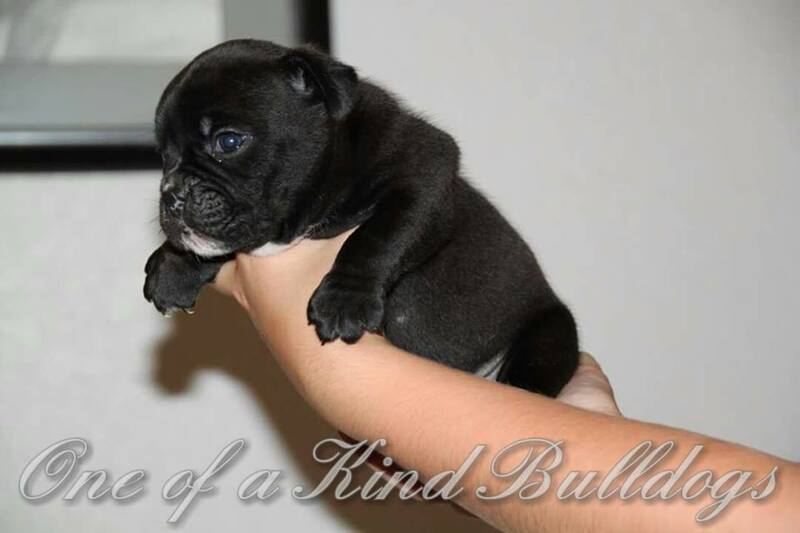 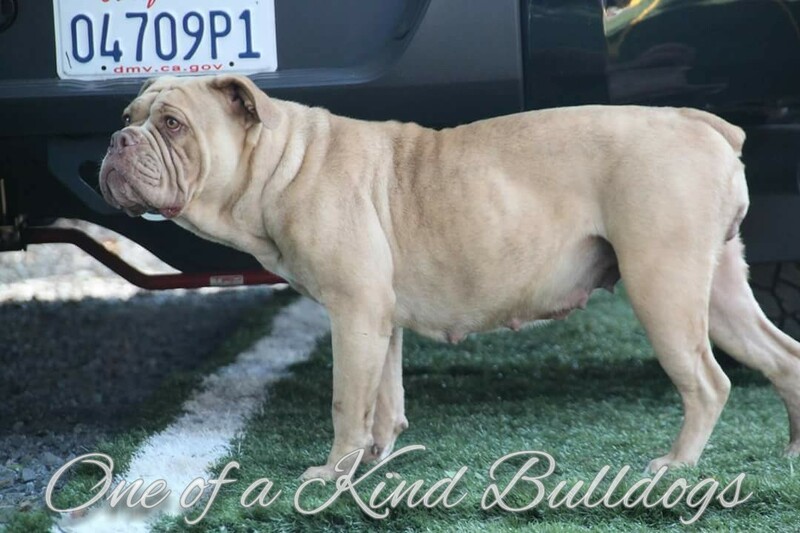 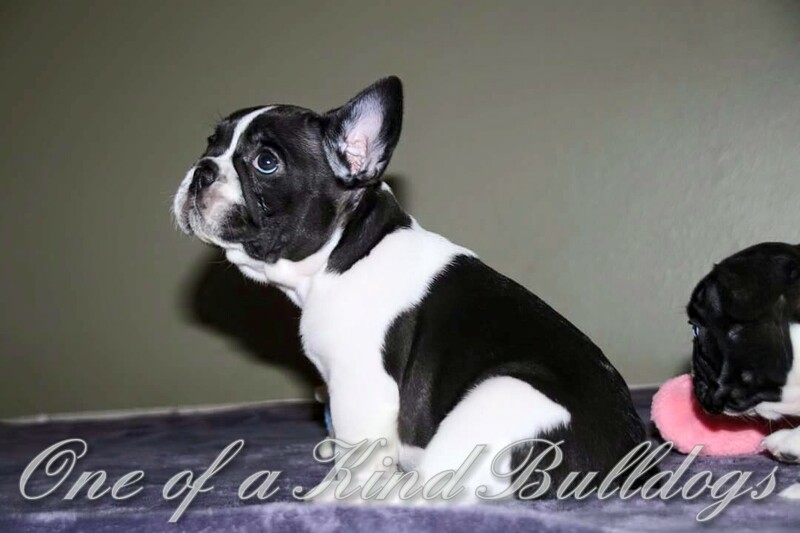 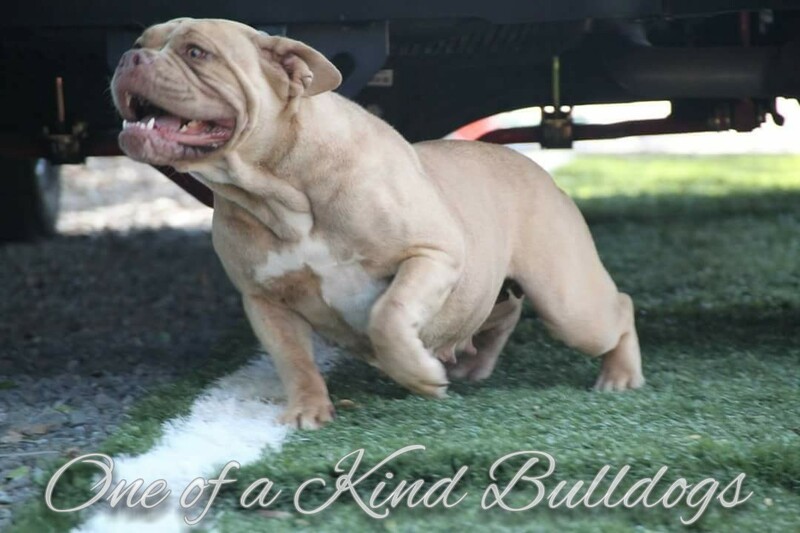 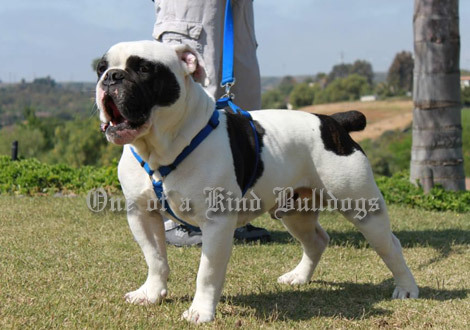 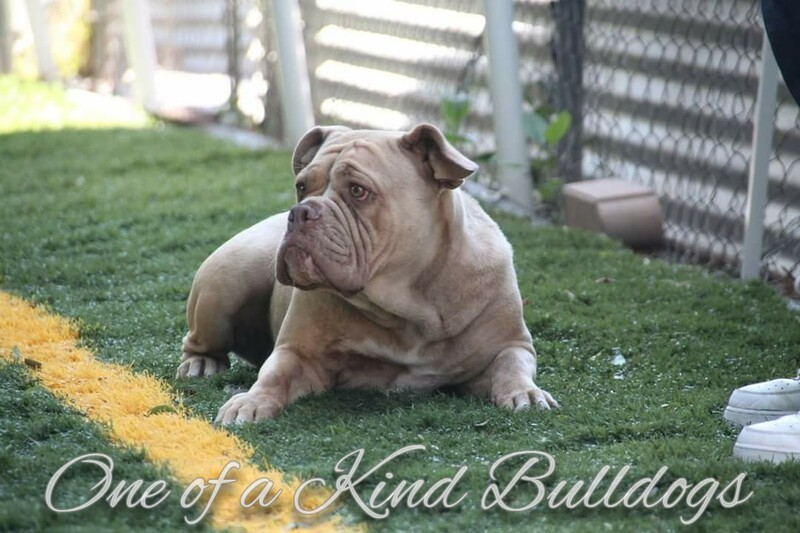 She is of course generations of One of a Kind Olde English Bulldogges. 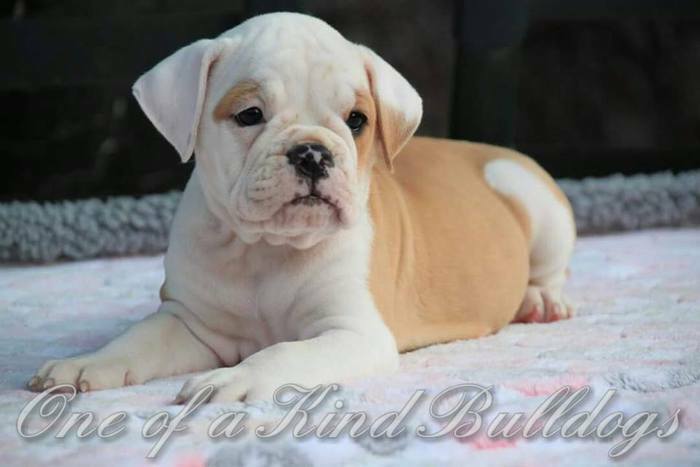 Goldie puppies are highly desired and do go fairly quick.